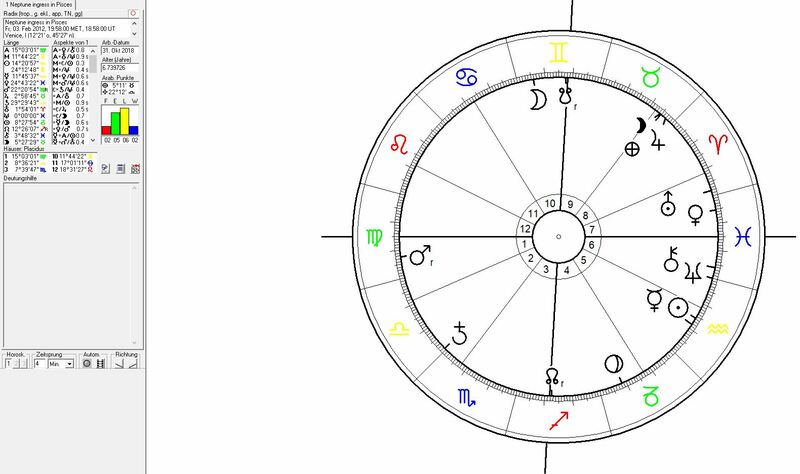 Neptune conjunct Venice between April 2019 and February 1922. Astrology & places: a new climax in the slow but steady process of drowning of the laguna city Venice. Compare: When will Venice sink? 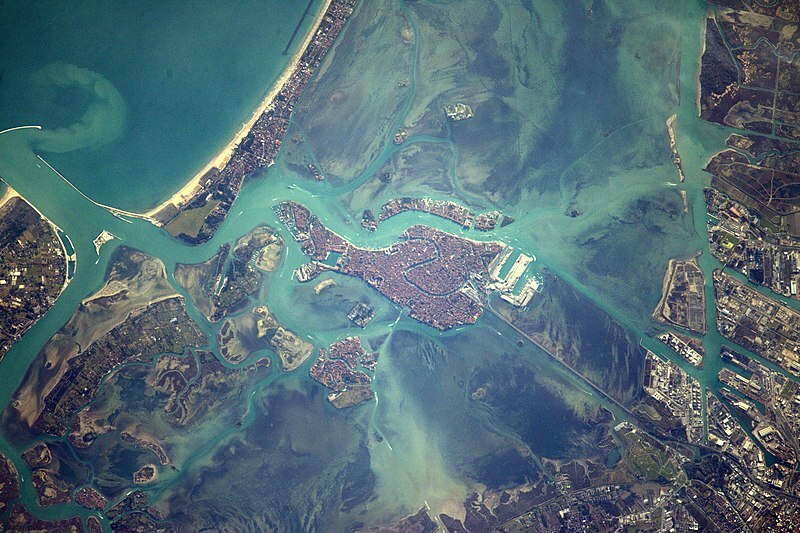 The City of Venice is situated across a group of 118 small islands that are separated by canals and linked by over 400 bridges located in the shallow Venetian Lagoon, an enclosed bay that lies between the mouths of the Po and the Piave rivers. Astrogeographical position of the City of Venice which describes the international, supraregional resonance of the city: the coordinate for the astrogeographical latitude is located at 29° in water sign Pisces the sign of the ocean which is so typical fror delta regions. Compare: Shanghai (Yangtze: Pisces-Aquarius), Alexandria (Nile: Pisces-Cap/Aqu), Amazone river delta (Pisces/Aries-Taurus) Rotterdam (Rhine: Pisces-Libra), Danube river delta (Pisces-Capricorn), Wolga river delta (Pisces-Virgo), Mobile city (Pisces-Aquarius), Lake Pontchartrain/North New Orleans (Mississppi: Pisces-Capricorn/Aquarius). The coordinate for the astrogeographical longitude is at 26°in air sign Gemini the sign of bridges. Neptune`s current transit through hs own sign Pisces the sign of the ocean, the invisible, hidden, suppressed, unknown, spirituality and the reconnection with the higher self, eternal soul, completeness and holistic reality began in February 2012. For delta cities this transit is of particlular importance as deltas are natural astrological correspondences for the Pisces correspondence of the dissolution of rivers into the oceans. The Pisces ingress of Neptune came with the North Node exactly conjunct the IC representing the significator for the ground below the city. The ascendant ruler Chiron twas conjunct Neptune in house 6 the house of adaptation to the effects of Neptune´s influence including the rising water, the growing instability of the ground and high debts due to the costs of constant pumping and reinforcement works. The period of the climax of Neptune`s transit conjunct Venice will last from April 2019 (17°Pisces) until February 2022 (22°Pisces).